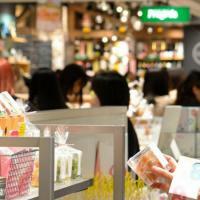 The Best Private Tokyo Shopping Tour with a local guide! 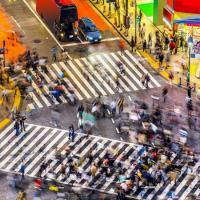 Tokyo is world famous for its shopping - and with good reason! But as well as cutting edge fashion boutiques and beautiful department stores, the city is also home to some pretty quirky shops that you won’t find anywhere else in the world. 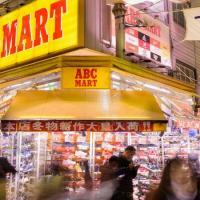 From 100 yen shops selling products you didn’t even know were missing from your life to a mall dedicated to all things anime and manga, shopping in Tokyo is an experience unlike any other! So let a local show you the very best shops in the city and discover the weird, the wonderful and everything in between! Discover Tokyo’s distinct style in the stores where you can buy anything from clothing to gadgets, comics to cameras. Your local will show you neighbourhoods renowned for their quirky street style and show you the stores where otaku fanatics shop for all things manga and anime! Discover unique shops catering to anime fanatics, huge electrical stores and quirky 100 yen stores which sell bits and bobs you’d never have thought you needed - until you laid eyes on them! Spend time getting to know your Local Host, and get tips and recommendations for where else to shop during your visit, as well as for places to eat or other activities your Local Host knows you will love. Showed me Harajuku and more ! Martina was my guide in Tokyo last week for 2 hours and I couldn’t recommend her enough. I specified in my email when booking that I wanted to see Harajuku and the kawaii fashion. She met me at my nearest train station and showed me how to buy tickets and which lines to take then we headed to Takeshita and made our way down the busy street. She pointed out lots of things and provided facts and anecdotes about the culture of Harajuku within Japan. She also took me round to see the luxury shops not 5 mins from the whacky bargains of Takeshita which was an interesting contrast! Beautiful architecture and lots of dressed up doggies to watch. She then led me back to the station and left me with some tips on where to see cherry blossom as most of the city had passed the season. Martina was great help and good to chat to, I’d recommend using City Unscripted for an immersive experience of any nooks and crannies you wouldn’t normally see. A very interesting and entertaining tour thru Ginza, Giovanni was an excellent tour guide who also gave us many very helpful tips what to do here in Tokyo. Mille Grazie!